To that end, we’re pleased to present the Sprout Insights series Spotlight on Startups. We’ll find the most innovative, useful start-up companies out there, get the inside track on what they’re doing, and tell you how you can leverage their products and services for your own business. 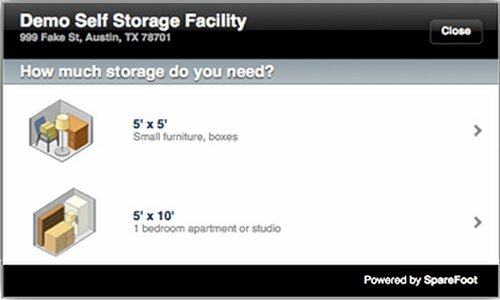 This week we’re pleased to cast the spotlight on SpareFoot — an online, self-storage marketplace based in Austin, TX. 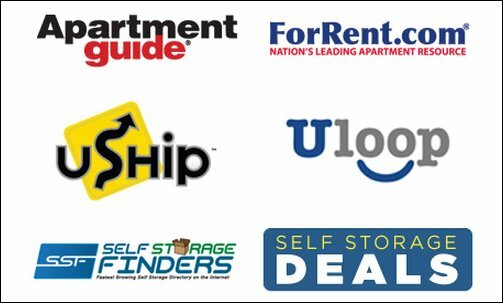 SpareFoot is an online marketplace that helps consumers find the best self-storage facilities nationwide. The company started out as web-based service where individuals needing to store their stuff could find other private individuals willing to store it. Gradually, as word of the service spread, founders Chuck Gordon and Mario Feghali realized they could expand their storage inventory and offer a great referral service at the same time by opening up the service to commercial self-storage businesses. The rest, as they say, is history. Fast forward just a few short years and now SpareFoot bills itself as “the world’s largest, simplest and best marketplace for self-storage.” It currently represents over 6,000 self storage companies nationwide — from Portland, Oregon, to Tampa, Florida. 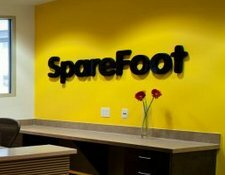 Consumers use the site for free, while SpareFoot charges a monthly listing subscription fee to its commercial clients. Businesses also pay a referral fee to SpareFoot for every online booking that translates into an actual storage rental. Much like Parking Panda — a company we featured here a few weeks ago — SpareFoot has found an innovative, effective and lucrative way to monetize what otherwise would have been unused or underutilized space. The service provides a great way for consumers to comparison shop for self-storage units without having to call every business in town (or across the country). The service also provides a number of features that a traditional telephone directory could never supply — like photos and reviews of the participating businesses. As for the businesses themselves, Rachel Greenfield, Marketing Analyst for SpareFoot, says that the self-storage industry is a “legacy” business. “Some of these companies don’t even have a website, so we’re able to introduce them to the power of web marketing,” she says. As old-school as the self-storage business may be, Greenfield says that “it’s still a $22 billion industry,” and that there’s a great opportunity for growth for a company like SpareFoot, she adds. In order to compete nationwide, SpareFoot has had to become an expert at leveraging SEO; its goal is to rank near the top of search engine results for terms like “storage,” “self-storage,” “moving,” and so on. To that end, it’s attracted the attention of a number of related businesses that have approached SpareFoot for partnership opportunities. For example, it recently reached a deal with Penske Truck Rental. SpareFoot highlights storage facilities that also have Penske Truck rentals available onsite. SpareFoot also partners with a number of related business websites and blogs. It powers third-party self-storage search tools with an API plugin to SpareFoot’s national database of facilities. SpareFoot also encourages blog exchanges with a number of complementary businesses as part of its content marketing strategy. If your business is related in any way to the moving and storage industries, there may be opportunities to partner with SpareFoot and its clients. More generally, SpareFoot provides a great example of how content marketing can provide a much higher ROI than an ad revenue approach. Ms. Greenfield says you won’t find any ads on SpareFoot’s site and that’s not about to change anytime soon! What do you think about SpareFoot and its focus on content marketing? Feel free to share your thoughts in the comments below.